Hey, these Wholesome Vegan Oat-Banana and Jam Muffins are delicious, whew! 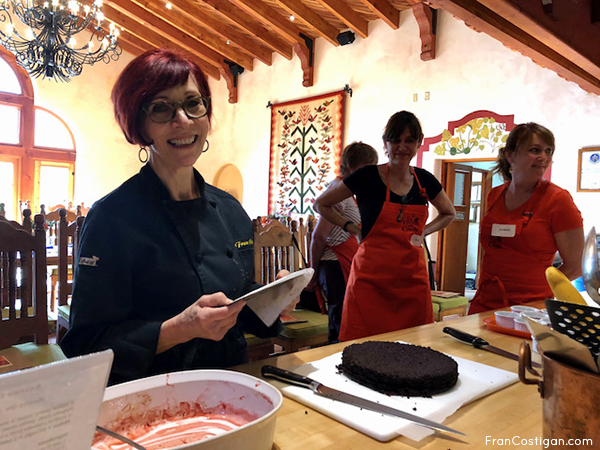 If you know the style of my recipes, you know that I stress technique, and that includes whisking and sifting dry ingredients and following recipes – ones written by authors you trust—to a T. When a recipe is being tested, that means in my world, cut it at least in half and pay close attention too what happens. That was not the case this morning. Eight-year-old Seth and six-year Eli are spending most of the week with me while they attend the Franklin Institute Discovery Camp. These boys really are quite self-reliant and very at home in the kitchen with peelers and knives. Still, this is our actual first all-together-now sleepover, and while I absolutely adore and appreciate their good appetites and excellent going to sleep and waking up habits, the new-again routine has me super busy and time-pressed. Memories of the days of childrearing and appreciation for parents have been refreshed. Breakfast, packing lunch, dinner, snacks, showers, and loads of laundry. This morning I woke 15 minutes before the boys and decided to give the boys a breakfast treat. Coffee in hand, I set the oven to convection mode and set out to mix up a batch of the Hearty Oat and Jam Muffins from More Great Good Dairy Free Desserts Naturally. I did not whisk the flour or sift the dry. Neither did I mash the large banana well. I did, however, measure the batter, per usual but today that was a by-product of pouring it into one of the flexible measuring cups I like to use to pour batter into tins. What I learned is that this variation is a keeper. Dry ingredients: Drop the baking powder, baking soda, salt, and cinnamon in separate blobs to double check you have used them all. I realized later that I did not add the 2 tablespoons of sweetener in the original recipe and forgot to add the vanilla extract too. The baked muffins tasted great, so I got lucky but really, not the best idea to wing it. The timer turned off mysteriously, so I am not sure how long these baked but it was less time than I expected—my best guess is 10 minutes on the upper rack. I did use convection bake though so 25% less time is normal. I did pour more batter into the oiled tins than the original recipe’s 3/4 full. I did use more jam per muffin, I’d say at least a heaping teaspoon or so. I did not add the 2 tablespoons of sweetener, (whole cane or maple sugar), and forgot the vanilla extract. I will put those changes in ink. Not needed. I found the 4 cups batter makes more than 12 standard muffins. I made 12 standard plus 3 very large. So, you would get 12 very large or—you tell me. I am admittedly fussy about my mise en place, baking (and making desserts in general) but this morning’s less fussy baking was a good experiment for me. 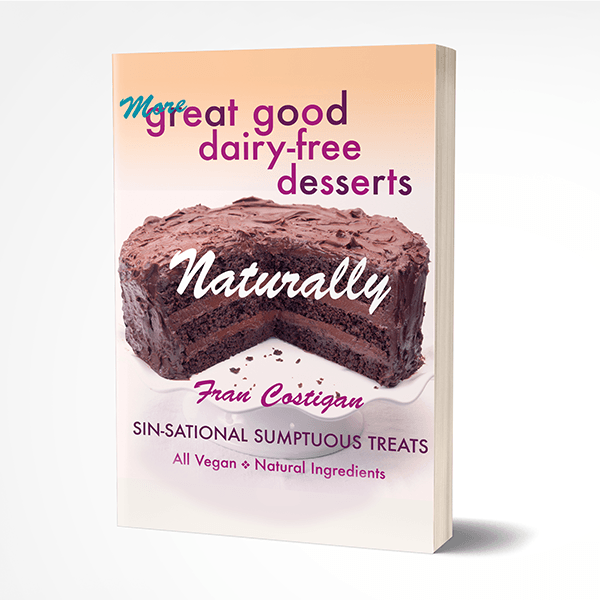 I will not be less fussy again, with most of my desserts. Now, you can feel good, not guilty when you grab one of these moist, hearty, maple syrup-sweetened Wholesome Vegan Oat-Banana and Jam Muffins. 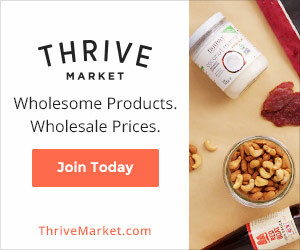 They are chock-full of healthful whole foods ingredients. These are good breakfast or anytime muffins with a nice surprise of all-fruit jam. Not only do they taste delicious, they provide plenty of energy with very little fat. Next time, I will add some fat juicy blueberries or pitted fresh cherries, halved and another time I may cut the 2 tablespoons of oil and add some fruit puree instead. TBC. Are you with me? I love comments on my blog posts so if you’d leave one or as many as you’ve got, please do and I’ll respond! Good day, you all. These are good breakfast or anytime muffins with a nice surprise of all-fruit jam. Not only do they taste delicious, they provide plenty of energy with very little fat or sweetener. Whisk the pastry flour and add it to a strainer set over a medium bowl. (I did not whisk or sift). Add the baking powder, soda, cinnamon and salt to the flour and whisk to mix. Add the oats and cranberries or raisins and mix. Make a well in the center. In a separate medium bowl, mash the banana pieces roughly. I did not mix to a puree. Add the plant milk, maple syrup, oil, and vinegar and whisk until combined. Pour the wet ingredients into the dry mixture and stir with a rubber spatula only until the ingredients are moistened. Allow the batter to rest about 1 minute. Spoon or pour the batter into the prepared muffin tin, filling each cup three-quarters to 7/8 full. Drop about 1 teaspoon jam in the center of each muffin. Cool the tin on a rack for 5 minutes. Run a thin knife between the muffins and the sides of the cups and turn out onto a cooling rack. The muffins taste good warm or at room temperature. Store the muffins in a tightly covered container for a day or two at room temperature, or freeze them for up to a month. 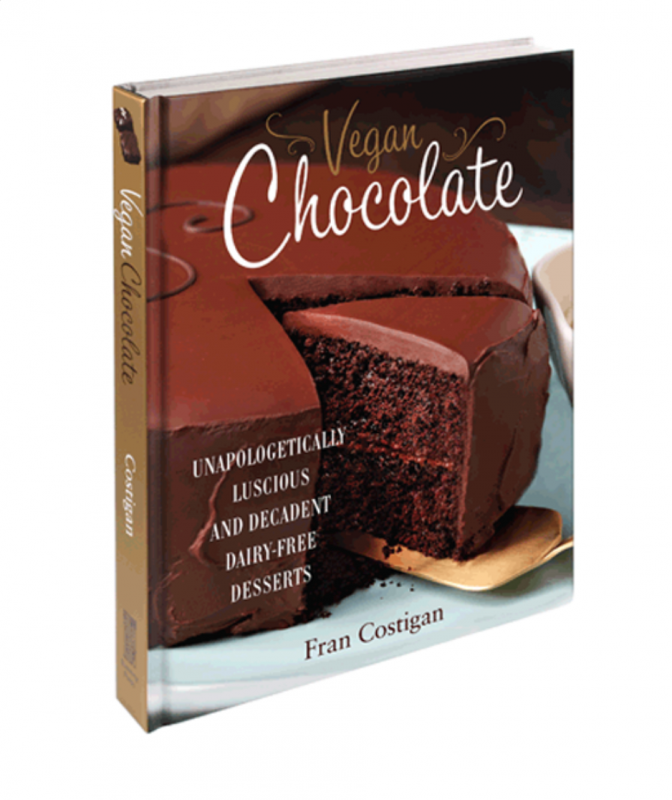 Recipe from More Great Good Dairy Free Desserts Naturally © 2006 by Fran Costigan. This recipe looks very good. What can be used to substitute for the bananna. Just allergic to them. Why don’t you make a half recipe and try replacing the banana with 1/2 cup of thick applesauce. You may need to add another tablespoon of more of the flour or use the oats. I am so happy to read your comment, Pia. Thank you for taking the time to post it. I was thinking that adding berries to the batter would be a great thing and now I know it is. All-fruit jam does mean no sugar or low sugar. My daughter keeps these in her freezer for the boys to take with them to school or out to play. She usually makes mini size. Would you mind telling me how many muffins you got and the kind of pan you used? I am about to make more– for a playdate later. Having my grandsons here has me remembering what it takes time-wise to raise kids and work. Kudos to you for respecting your daughters choice and helping her along. Most of my recipes are quite fuss-free and many components, as well as the finished dishes, can be made in advance and kept frozen or refrigerated til needed. Let us know what you do next.